I kept going back and forth over whether or not to bring a stove with me on my trip. 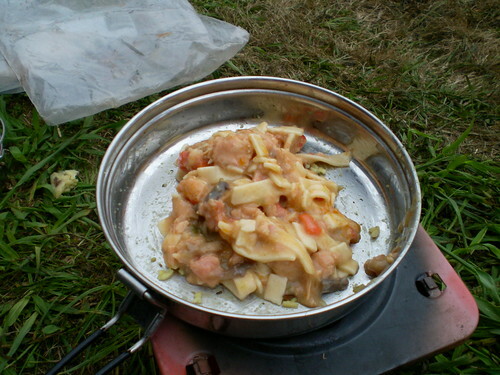 I’d never gone camping before, and I know I can get lazy so I wasn’t sure if I wanted the hassle of having to cook and wash dishes. 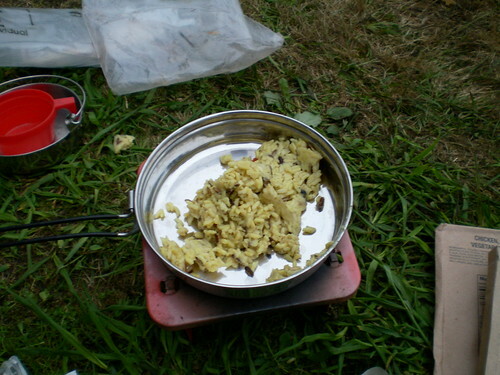 The thought of being stranded somewhere in the middle of the woods with no food scared me though, so I was kind of leaning towards getting a stove, but was completely clueless about it. 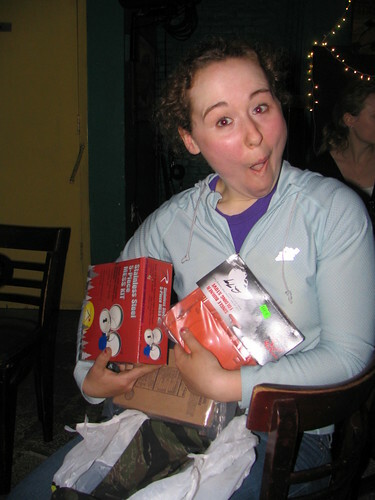 Luckily, my awesome friend Rebecca did all the thinking for me and hooked me up with a stove, fuel, cookware, and an Emergency Meal that they eat in the army. 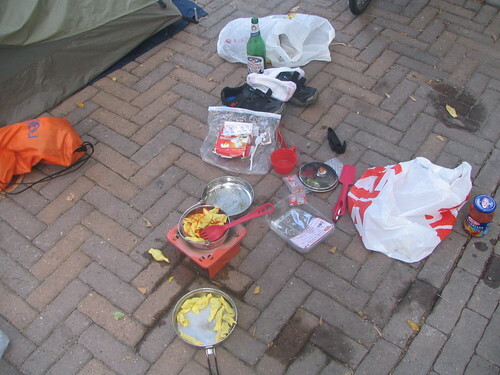 If I did another trip like this, the one thing I would change is I would cook more. 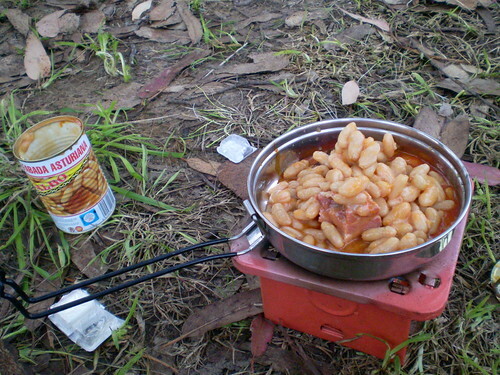 It took me a while to use the stove, and I was always afraid of buying canned foods in the markets. Also, I was in Europe and wanted to experience the local food, so I wound up eating out a lot. Food was definitely my largest expense on my trip, and its something I would want to cut down on next time. The first time cooking was definitely a laborious process and I had no idea what I was doing. When I was struggling up those long climbs, I would think about what I could throw out of my panniers. I imagined the road dotted with my clothes and travel guides and those pans and stove, but I couldn’t bring myself to get rid of anything. The bike with loaded panniers was about 100 pounds, so I just figured all the weight would make me a stronger rider. I think this was my second time cooking, in Italy. I really was afraid of canned food and would only buy fresh pasta to cook. 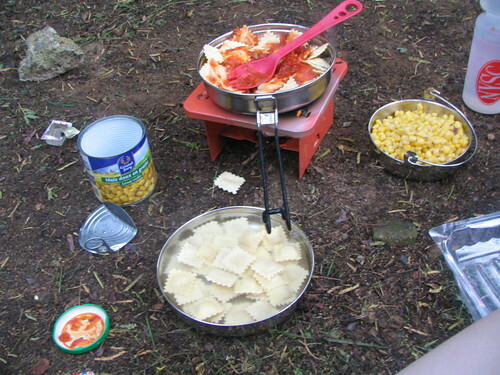 The stove wouldn’t get that hot, though, so it was always more like soaking the pasta in semi-warm water. Spain is what finally did me in and made me eat the Emergency Meal. I was staying at a campground where they didn’t start serving dinner until 9:30, and I just couldn’t wait. I had already eaten the cookie, crackers and jelly from the package but still had the two main dishes left. It looks like crap but it was actually really good. And then the day came when I finally bought meat in a can. I was too scared to eat the meat but the beans were actually good and I was a little disappointed in myself for not trying it earlier. So, next time, I will save money and eat out of more cans. I also brought a box of Cliff Shot Blocks and some other energy bars with me and these definitely saved me. I always kept a couple in my handlebar bag so I wouldn’t have to stop to eat. There was one day that it was so hot, about 33 degrees Celsius, and I wasn’t hungry at all and didn’t think to stop and force myself to eat. I rode over 100 km that day, and by the time I got to the campground, I was feeling really tired. I wound up almost collapsing in the shower and had a hard time eating afterwards. It was probably the worst time on the trip. So, even if you don’t feel hungry, take the time to stop and eat something!